God has called his people to assemble together to worship Him, grow together in holiness and while doing so, SERVE HIM IN LOVE. 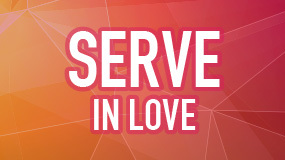 At Evangel we want to make the path to meaningful and fulfilling service easy. Serving God in love will naturally involve serving others because God’s plan involves people. Discovering your God given giftedness often is confirmed while serving. Below is a list of ways in which you are invited to pray about being involved. Nursery – those who help are not only ministering to infants and toddlers but are aiding families and the entire church body worship God and grow in holiness. Ride the bus to transport children from a local school to attend release time bible classes at Evangel. Smile and welcome community children during release time bible studies. Be a teacher or helper on a weekly or monthly rotation. Want to lead? Openings are available for the training of new leaders. Partner with others to engage our community with the gospel, Got ideas? Let’s talk. Participate in a local church planting ministry in Corktown, Detroit, with a local missionary. Ladies engage our community by joining a ladies ministry team on Monday nights as part of our Crisis care ministries (GHPR). Men partner with men as we build disciples in the Men’s Fraternity grow groups on Monday nights. Partner with others who engage our community during Upwards Football practices and games. Care for a flower bed or gather a group of friends to do so. If you cannot decide on where to serve see any Evangel Pastor/ leader for assistance. There is a place for you at Evangel!